Can I PLEASE Prune My Roses?! And How Can I Get Ripe Figs? Q. Lynn in Rockville Maryland writes: "My roses have gotten really big, gangly and tall. And tall. Is this a good time to prune them?" A. No, it is not, Lynn. In fact, it is pretty close to the worst time. Pruning stimulates new growth. Pruning in the fall stimulates that growth just as the plants are trying to go dormant, when they naturally send their energy down into their root systems in advance of winter. Pruning disrupts this natural move to dormancy and can greatly stress the plants in question, as they get pulled in two directions at once—one direction by nature and the other direction by your shears of death. Even worse? Pruning next month, when nighttime temps will be much lower and the lush new growth your pruning stimulates could freeze solid on the next night in the thirties. I know—you're looking out at your raggedy fall garden and your inner Martha Stewart is greatly tempting you to lock, load and go out and do something complately counter to the lifecycle of the plants to make things look nice out there for people walking by who honestly don't care. Resist this temptation! The best time to prune roses and other summer bloomers is in the Spring, about two weeks after new growth appears. 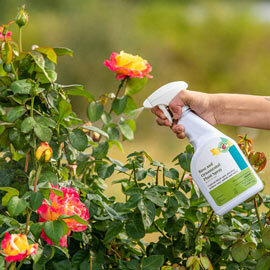 Prune off all the bad looking portions, remove any old mulch under the plants (and your prunings, of course) apply an inch or two of yard waste compost as the new mulch and disease-free roses you will have. Or do what some bum on the street says, mulch with 'triple premium shredded bark' (which is actually chipped-up pressure-treated wood and other hurricane debris from down South that's been spray-painted some God-awful color to try and disguise its origin) and eat black spot all summer; hey—it's not MY yard. We now move on to Part Two of Lynn's thrilling email! Q. She writes: "I have a fig tree whose main branches died last winter but grew back from the ground into a huge plant. As frost approaches, there are numerous small green figs that appeared late in the season that won't have time to ripen. How do I prepare the tree for this winter?" A. Figs are Mediterranean plants that are 'half-hardy' in regions colder than USDA growing Zone 7—and sometimes IN Zone 7 in winters with long stretches of freezing cold weather, especially if there isn't a protective layer of snow on the ground. "Half-hardy" may be an actual horticultural term or I may have just made it up, but it describes figs perfectly. Grow a fig tree anywhere in a place that doesn't know from winter, like Texas, Florida or Georgia and even without any kind of protection odds are good that the plant may suffer a little bit of winter damage. Prune off these dead and damaged areas in the Spring and the tree will proceed to produce a nice harvest of ripe figs—perhaps two runs if it's the right variety and conditions were perfect. Grow the same plant without protection in, say—Pennsylvania, Delaware or New Jersey—and the entire top part of the tree will completely or mostly die over winter; but the roots are virtually guaranteed to survive. Ah, but now the tree has to grow back to full size before it can even think about making figs—and by then its generally too late for them to ripen. There are exceptions, of course. The above-ground growth of a tree that's naturally protected by structures like the side of a home or garden walls may not lose nearly as much biomass—especially if it's planted in a high spot in the landscape that has exceptionally good drainage. Same if it's planted in the heat sink of a city. A fig in Center City Philly or downtown DC will always fare better than the same tree in the suburbs. And its close to the shops. If you're in a 'half-hardy' area, it is always wise to position a new fig in a protected corner, and/or on the highest ground available. (Avoid poorly-draining soil period.) It is also wise to offer some level of protection. The simplest is to pound stakes into the ground around the tree and wrap burlap ground the stakes—NOT the actual tree, because then the burlap will get soaking wet, freeze and do more harm than good.